I've been searching for the perfect ankle boots after destroying my good 'ole pair during our last horrendous winter. Along with taking the classic Chelsea boot route,I'm also calling in my (nonexistent) Western roots full of worn in leather and a caramel color. 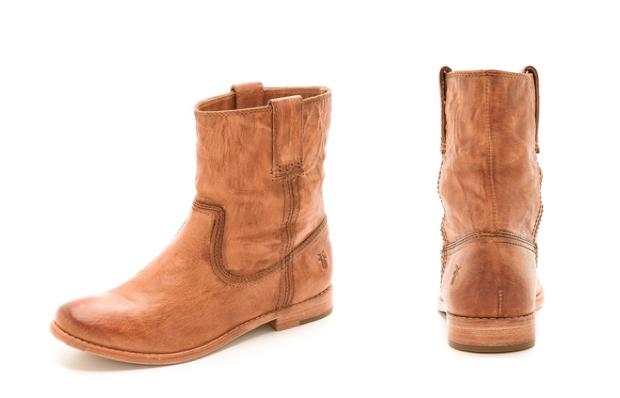 These Frye pair the modern take on a cowboy boot- perhaps the rugged cousin of the Chelsea? Love your blog! Esp because it's got that coastal vibe like mine ;) So happy to have found it!